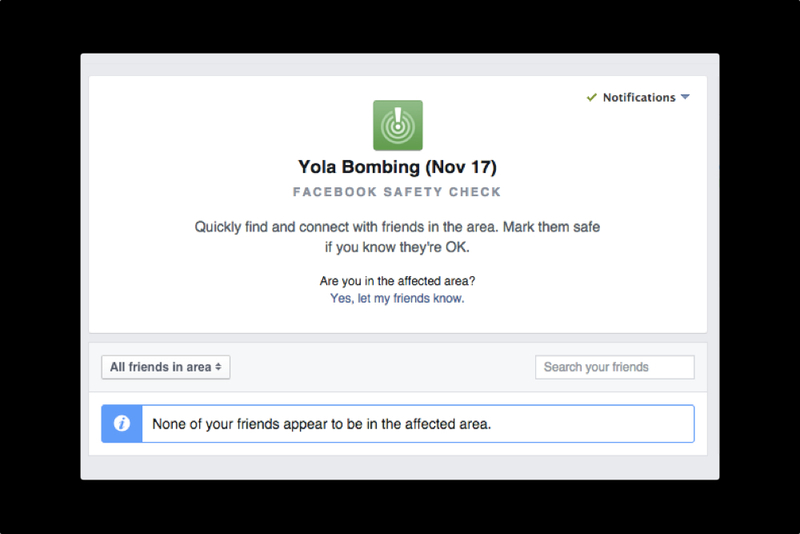 Facebook’s Safety Check feature allows users to notify friends and family if they are safe in case of a natural disaster or terrorist attack. It has been turned on four times for the former, in connection with the Earthquakes in Afghanistan, Chile and Nepal, and the tropical storms in the Philippines and South Pacific. The Paris terrorist attacks in November marked the first time it was used for a “human disaster.” The feature has until now been run by company staff, but USA Today is reporting that the social media conglomerate is considering letting users take control.Facebook will be testing a version that allows users to contact friends and loved ones and let them know they are safe, and also send invites to people in the area to perform a similar action. This could prove more efficient than having a team that may be located far away from the event report on the event. It also leaves the decision whether or not to even activate the system to the users who are on the ground going through the crisis.